The German owner of big six energy suppliernpower has warned that stronger market competition is likely to lead to reduced profits in 2014. RWE posted a net loss of €2.76 billion last year (2013), having previously registered a profit of €1.31 billion in 2012. It is the first time RWE has posted a loss since 1949. 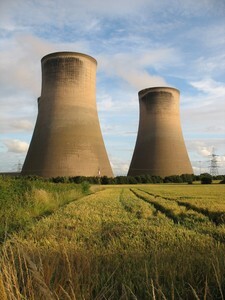 Profits from customers in the UK fell five per cent during 2013, whilst its British power stations made a loss of £65 million in the same period. However, its business supply business posted more positive results - rising 23 per cent to £112 million in profits. Business in the UK accounts for around 17 per cent of RWE's total revenues and five per cent of its total profits. Last year also saw the npower owner post a €5 billion write-down on the value of its power plants in Europe, which are currently losing out to other renewable energy suppliers. Commenting in a report, RWE's chief executive Peter Terium, stated: "In the coming years, our power plants will earn even less than feared. We had to account for that in our annual results. "I grant we have made mistakes. We were late entering into the renewables market - possibly too late," Mr Terium added.